I have been on the hunt for some vintage glass Christmas ornaments for a while now. Not aggressively, but keeping my eyes pealed. And I haven’t had much luck – until a couple of weeks ago. Walking through my local thrift store I noticed plastic bags stuffed with random holiday decor jumbled together and hanging on a wall. Fortunately a couple of things caught my eye and I looked closer. Someone must have just cleaned out grandma’s Christmas decorations and dropped them off. It looked like the undiscriminating thrift store worker had just grabbed random handfuls and stuffed them into plastic bags because mixed in with a lot of undesirable 80’s junk, were some beautiful vintage glass ornaments! There was another bag with these glass balls, etched with Santa driving a train. Ornaments from this era remind me of grandma and my mom’s childhood. Another plastic bag was full of gold, clear, and white beads – I think I got it for .99 cents. I added them to a glass hurricane with some other ornaments from Target and I think it’s a start at least to something pretty. I may pick up a different glass container, but for now, it works. On the way to the register, I also found a box of Shiny Brite glass balls in primary colors. I was totally excited. I think I got everything for around $10 and I think I totally lucked out. Now to decide what to do with them. If you’re now in the mood to find some of your own vintage glass ornaments, I just did a search on etsy and ebay and found a lot of good stuff at fairly reasonable prices. As I put up our tree, I was feeling so grateful to whoever invented ‘fake glass’ ornaments that don’t break. We’re still kind of at that stage at our house. So I’m looking for other ways to still admire my pretty, new, long-sought-after, vintage glass ornaments without having to worry they may never live to see another Christmas. 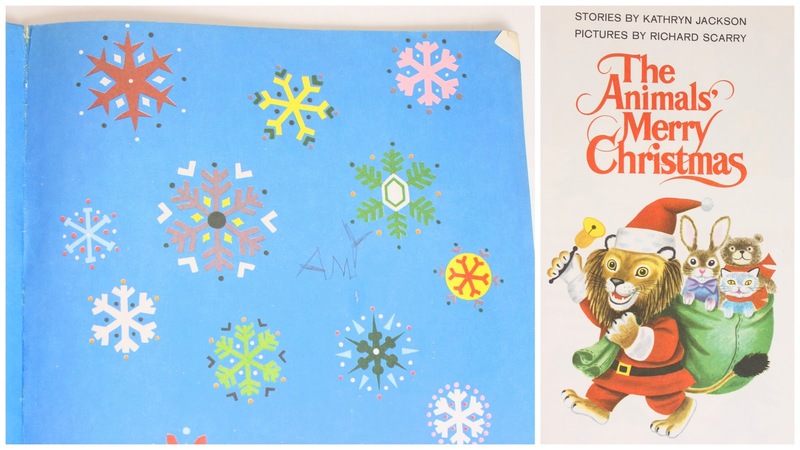 And speaking of vintage Christmas, I found something from my own childhood – a book of Christmas stories illustrated by one of my favorites: Richard Scarry. I even autographed the inside cover some time back in the day, probably around 1979 when my mom was taking care of a new baby and I was doing things like writing in books. My copy was re-printed in the 1970’s, but the book and illustrations were originally printed in the 1950’s before Scarry’s Huckle Cat era. I love those the simple, graphic look of those tree houses. As always, the details in Richard Scarry’s illustrations are so adorable. I want the quilt that goat is sleeping with. And I want this print in fabric! And there you go. Goodies and critters and warm fuzzies from Christmas past. Thanks for the reminder that thrift shops are sometimes treasure troves! Beautiful ornaments you&#39;ve got there. :)<br /><br />And Richard Scarry! I have always loved his books and illustrations. Thank you for sharing. I really don&#39;t know you, but really just got over the top happy for those beautiful ornaments! Well done! Those illustrations really are sweet. When you see them, don&#39;t you think of carefree, innocent times? Wow, you just flooded my heart with sweet sweet memories. We had that book too, I wonder where it is! 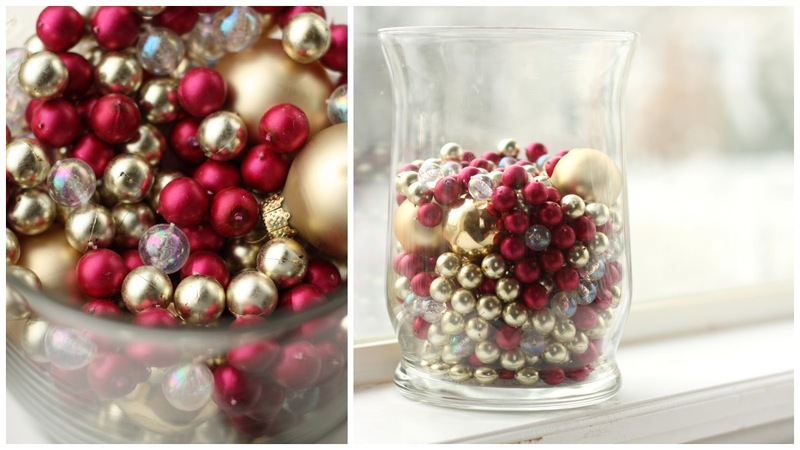 I so remember growing up with those ornaments.The ones I have my eye out for are the glass balls they are no where to be seen.They would just be a reminder of my growing up years. That book is incredible, wish I had one. I absolutely love your boys&#39; tree decorating skills. That is quite a score! I love the green indent one. I put my collection in huge glass containers. The only vintage ornaments that I hang on our tree came from my Grandma&#39;s Christmas stash. I have no idea why I feel the need to keep them separated. Great find! I collect vintage glass ornaments, I find them at yard sales in the summer all the time. I love the Shiny Brites…the colors are so pretty and it seems like you can almost see through them. They just don&#39;t make them like that anymore! Beautiful! My Mom still has a ton from her childhood and she is not quite ready to pass them on to me yet 🙂 I&#39;ve also seen a lot on Etsy lately. Doesn&#39;t hold the same sentimental value but they are still really nostalgic and original! OH how I love his illustrations. what a great find this book it and YES it would be fabulous in fabric!! P.S. I forgot to mention that the photographs of your ornaments are really cool. one idea for your vintage finds.. hang them on various lengths of ribbon and hang the in front of a window.. I remember those tree ornaments! I think it&#39;s a wonderful find, the kind I need to go looking for. Sort of nostalgic for me. Love the book. Such wonderful finds. Your boys look cute too. Oh, dear. I have some of these &quot;vintage&quot; ornaments on my tree — I bought them for my first tree in my first apartment. Does this mean I am also vintage? Hopefully better with age, like fine wine! Very Nice Amy! I LOVE those little flocked/etched ornaments — I&#39;d love to find some of them too. It&#39;s beginning to look a lot like Christmas (did you break out into song reading that?) around your house! Look at that tree. Too funny. I wonder what they would do if you left it? And I read a lot of Richard Scarry books to my kids as they were growing up. Good messages with a soft approach. Love the vintage pictures. 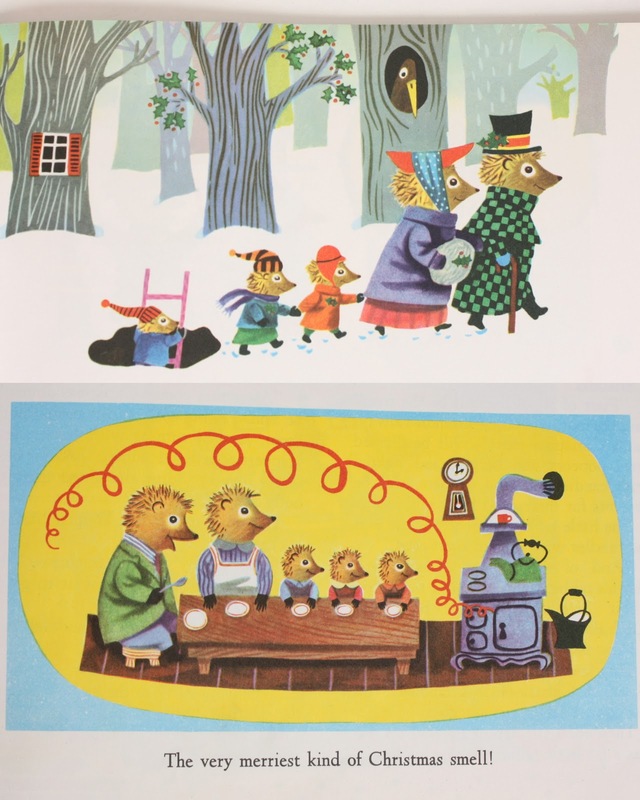 Thank so much for sharing pictures of the richard scarry book- the singing tree made my day! Good for you… Love those &quot;thrift stores&quot;… And Richard Scarry too….. Memories….. I have that Richard Scarry book! It was one of the ones that I kept when my Mom broke up her house. I also have &quot;Mr. Willoughby&#39;s Christmas Tree&quot;, it is another favorite. I have been collecting vintage porcelain Santas and Christmas knick knacks. They remind me of my childhood! Merry Christmas to you and your family! Oh my goodness, you really did score! I remember in the 80s, when I was a pre-teen, my mom had a bunch of ornaments saved from the 50s and 60s, which I thought were TERRIBLE! Now however, I think they are the most beautiful things ever and love seeing them every year on her tree. Love your vintage finds! They remind me of my grandma&#39;s tree from when I was little. Thanks for sharing! Total bargain! I love the ornaments, so cool! There&#39;s no way we can have glass ones in our house, sticking to felt for now! The book is fabulous too, what great illustrations.<br />I also think the jar of beads looks really pretty! Congrats on the great vintage ornament find!!!! And I agree with you on Richard Scarry!!!! I love Richard Scarry. This summer I even found some fabric with Busy Town complete with Huckle and Lowly! I love Richard Scarry too! Merry Christmas! Wow, google led me to your page. My mother passed away and I live out of town and was not there when much of her house and belongings were gone through. I am realizing several, precious to me Chrtmas items were sent off un wanted. The ornaments and this book!! Wow, I was not able to put the title to it but here it is! Thank you for the memories!